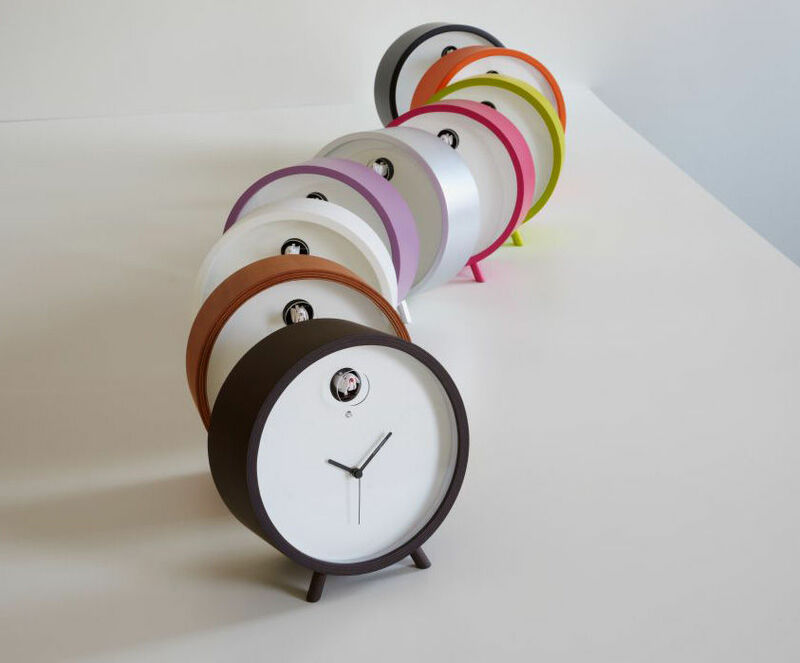 Simple form, flashy colours and modern materials: Plex is a modern and fun interpretation of our grandparents traditional cuckoo clocks! This standing version will look great for example on a chest of drawers, desk or bedside table. Thanks to LEDs on the backside, Plex spreads soft and sensual light. When the cuckoo leaves the hole, it opens its beak and wings! If you feel disturbed by the singing, you can set the volume lower or put it in silent mode. 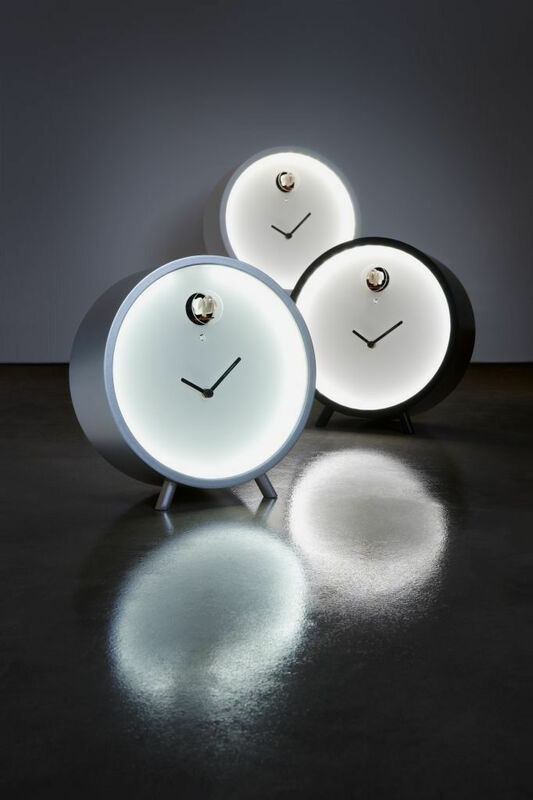 At night, a light sensor automatically switches off the sound. 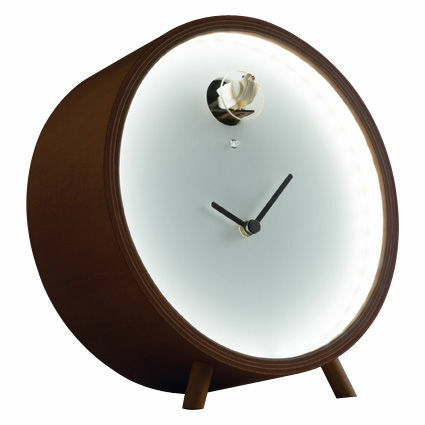 The dial, covered with a sheet of coloured plexiglass, features a lacquered birch plywood frame. The original hands are situated lower than in the centre. 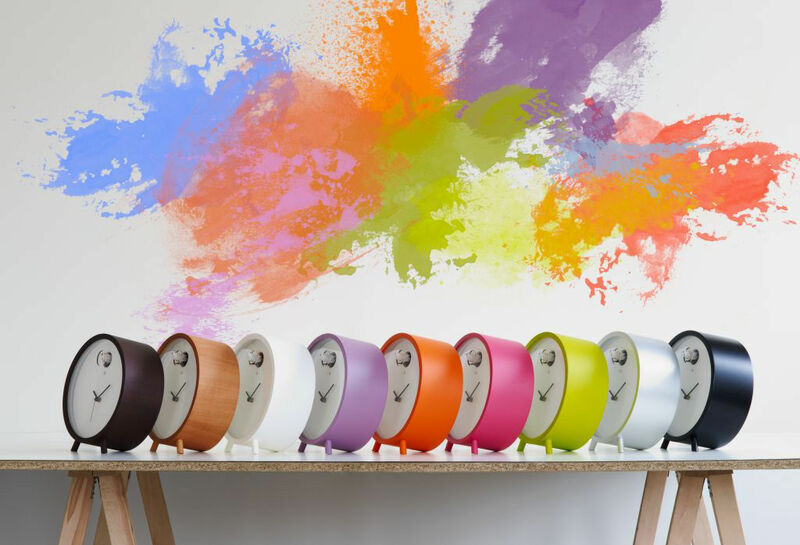 Founded in 1965, the famous Italian brand Diamantini & Domeniconi reinvents traditional wall clocks by collaborating with lots of international designers.